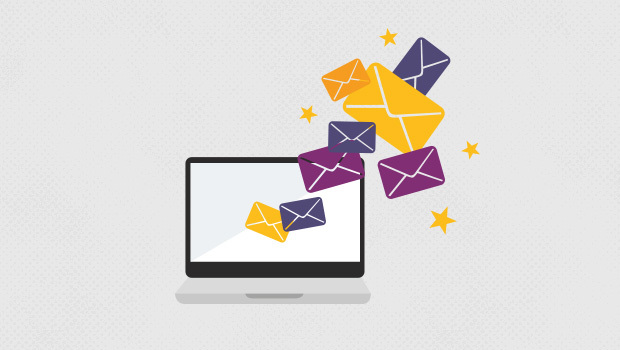 You’ve heard how a targeted email campaign can transform your marketing communications into a thing of beauty, bringing in new leads, increasing your revenue and creating customer loyalty. Now, a month into the New Year and your 2016 planning, you have a chance to make a fresh start by launching a new campaign or even beefing up your old one in a medium that continues to be extremely effective. 1. Vow to grow your email list to expand your marketing capabilities. The number of ways to do that boggles the imagination (check out these 50 and these 24). Some ideas include website and social media opt-in forms, collecting addresses at point of sale and incentivizing employees to gather them for you. Also, consider the use of a lightbox (an online data-storage function) to create pop-up invitations to enroll as the user scrolls to a browser or reaches a certain scroll depth. 2. To prevent falling behind on your campaign mid-year, create an email marketing plan that projects multiple messages, anticipating holidays and special events through 2016. Work backward from preferred launch dates to set deadlines for writing content. Shooting for three to five emails monthly is a good idea, as is creating how-to videos and tutorials about your business or website. 3. Ensure your emails are mobile-friendly in design and content, since nearly 60% are now read via mobile device. Analysts predict in the next five years marketing via smartphone will become even more sophisticated, with responsive design increasingly boosting smartphone conversion rates. 4. Segment your list, fine tuning which kinds of messages you’ll send to targeted groups. 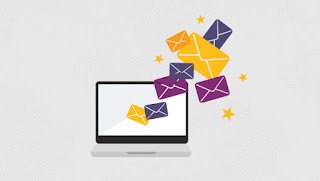 Thirty-nine percent of email marketers realize better open rates through segmentation, says research by eMarketer, while 28 percent see lower opt-out and unsubscribe rates, and 24 percent see better email deliverability along with increased sales leads and greater revenue. 5. Offer as much personalization as possible, using data-gathering tools and customer surveys to your advantage by recognizing birthdays and anniversaries, referring to previous purchases and shopping patterns, and otherwise making readers feel valued. Location demographics, for example, allow you to mention events, landmarks, or stores near the reader. In a 2016 study of marketing firms by Emailmonday.com, 76 percent of respondents predicted email communication will be completely personalized in the next five years. In the future, analysts expect even more highly optimized 1:1 emails that allow for customized communication for each recipient within a single email broadcast. 6. Develop a welcome program, a series of follow-up emails to new subscribers introducing them to your company, products, and website. The emails can be automated by interval or triggered by customer action. Let readers know they’re coming, differentiate them from other kinds of emails in the subject line, and avoid hard-sell techniques. The first email should contain a warm welcome and thank you for subscribing, while subsequent messages might include a reinforcement of the benefits of subscribing, a special thank you offer, helpful information about your products or services, or links to your social media sites. Clear calls to action and appealing images are recommended. 7. The truth can set you free, so it’s wise to monitor response rates so you can adjust future marketing plans. Track open and click rates, revenue and conversion, unsubscribes and bounces, and use your website’s analytics tools to gauge reader behavior after click through. Industry-wide, email marketing is increasingly providing data for the analytics that drive other marketing efforts. 8. Following up with automated emails when recipients don’t open initial emails can increase your open rates by 30 to 40 percent. They all should include different subject lines. The first should come three days after the original, be shorter than 500 words and reinstate the benefits of your product or service. Subsequent messages could mention why your product is necessary and how it’s used, offer testimonials or reviews, solicit questions, and/or include an FAQ section. 9. Continually test your campaign and use the results to tweak further strategy. Consider a schedule for the testing of one campaign variable each month; those could include copy length and content, time and day of the week, frequency, call to action, and/or design. Also consider a heat map test of your website, a graphic display showing which areas are most frequently scanned by visitors so you can strategize where to place calls to action. 10. Pay more attention to creating effective subject lines, since they’re the primary factor influencing whether your audience will actually open the email. In general, the subject copy should be short (40 to 50 characters) and as straightforward as possible; it should change each time; leave out all capital letters and exclamation points, and avoid words like “free” or “percent off” to keep from being weeded out by spam filters. What works best? A question, a call to action, a sense of urgency, the mention of a benefit to customers, and/or a mention of the recipient’s name or city. Don’t use the space to mention your company, since that’s apparent in the “from” line. Consider studying popular click-bait sites like Buzzfeed that lure readers in with fun, short and punchy subject lines and preview text. How might you incorporate some of those techniques into your own campaign? 11. Listen closely to customer feedback. Survey subscribers about likes and dislikes, using the data to create more effective content and up-front value propositions. Use preference centers on your website to allow customers to dictate their druthers when it comes to content, format, and frequency. Be gracious and quick with those who ask to unsubscribe, since the last thing you want is to be perceived as a spammer (perhaps ask them if you can decrease email frequency or limit the content to certain categories). 12. Include opt-in forms as well as forwarding options on all social media networks, including LinkedIn. You might even email those who mention your business on social media, inviting them to opt in. 13. Sign up for other email campaigns and newsletters to compare what your competitors and industry leaders are doing. Consider whether to adopt their ideas and techniques. 14. Pay attention to industry trends. For example, some marketers are beginning to use modular templates for email campaigns that allow for faster switching out and editing. Others are moving away from coded emails toward tools that put more design control in their hands, while some are trending toward kinetic email that includes more videos and sophisticated animation. A relatively new method known as “double opt in” allows a reader to simply send a company a blank email to receive an opt-in email in return. 15. Take a hard look at whether your content is offering enough value to recipients. Instead of a constant sales push, think in terms of “sticky” content — bits of useful, fun, and/or humorous information in small, easy-to-digest portions that might capture readers’ attention and keep them coming back for more. Messages that are less sales-oriented work to develop brand awareness and customer relationships, paving the way for possible purchases.Other tips: Strive for original content, not just a recap of what everyone else is already saying. Tie your content into holidays, pop-culture happenings, and current events when applicable. Don’t go overboard with too many links. And gifs and videos can be powerful additions, too, since visuals are processed by the human brain in about a tenth of a second. Other tips: Here’s how to make content marketing, email, and social media work together in harmony.